On the 20th, I gave a talk about the work of the Human Media Lab, where I am close to finish a postdoctoral fellowship. 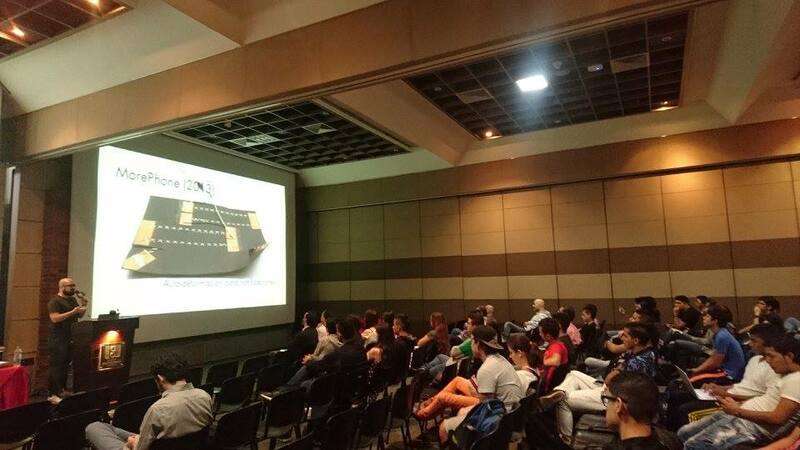 I was invited by Prof. Juan Manuel Salamanca, the 418 and Leonardo research groups, and the Interactive Media Design Program. After the talk, I had the opportunity to have lunch and a nice conversation with Prof. Salamanca, Prof. Javier Aguirre and Prof. Pablo Monroy. On the 21st, I visited the Autónoma de Occidente University, where I also talked about the work of the Human Media Lab. 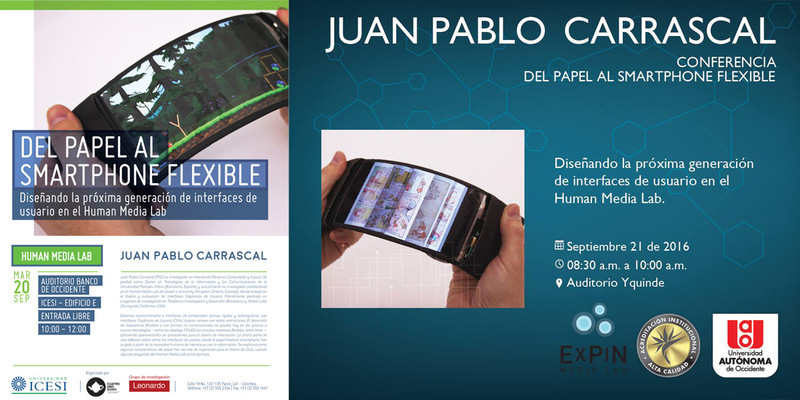 I was invited by Prof. Carolina Ledesma and the EXPIN Media Lab. 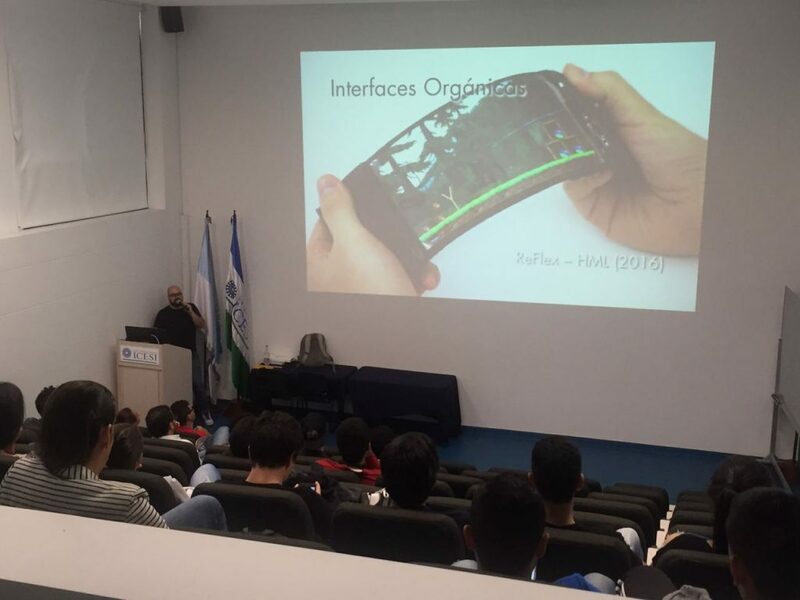 After the talk, Prof. Jesús Cardona, Director of the CIEI center, invited me to visit the university laboratories, including the FabLab Cali, engineering labs, and the EXPIN Media Lab facilities. I later met with professors associated with EXPIN, and I had the opportunity to learn about their work. Later during lunch, we chatted about the difficulties for research and innovation in Colombia. During the afternoon, I was invited to participate in the Information Design Workshop, a course taught by Prof. Ledesma. I enjoyed working with the students in an activity aimed at identifying and categorizing issues in the signage of a local museum.